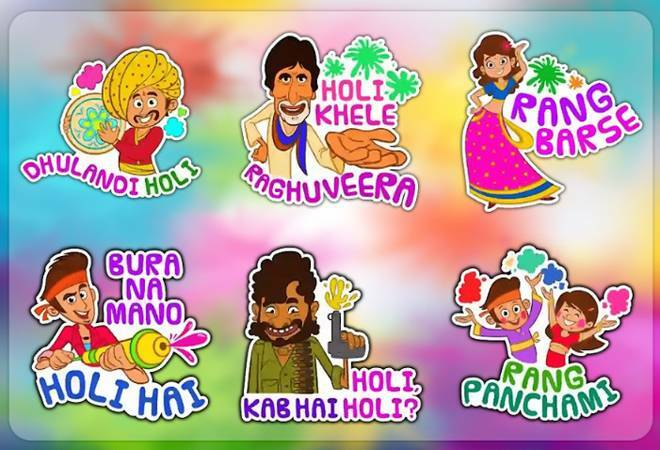 WhatsApp has introduced the feature of creating customised stickers on the occasion of Holi. This feature launched by the Facebook-owned platform will also enable the users to use their own pictures and send out customised GIFs or stickers to their family and friends. Step 1: Open Google Playstore and download 'Sticker maker for WhatsApp'. Step 2: Open the sticker maker and click 'Create a new sticker pack'option. Step 3: Enter the sticker pack's name and author. This will not let your customised stickers become available to other WhatsApp users. Step 4: Click 'new list' option and a page will open with empty stickers tray. Step 5: Add an icon for the sticker pack and then click on the next tray to add a new customised sticker. Step 6: As soon as you click on the empty tray to add a new sticker, a dialogue box will appear asking you to either take a photo or import from your gallery, to create the sticker. Step 7: Once you've selected the image, it will be uploaded on an image editor. Step 8: Edit and crop the parts that you don't need in the sticker. Step 9: Now you can save the image and follow the same steps to add more customised stickers to the pack. Step 10: Once you've added all the stickers to the pack, click on the Publish sticker pack option. Step 11: A dialogue box will appear asking you to add these stickers on your WhatsApp, click accept and enjoy using these customised stickers in the app. However, the customised sticker creation option is only available for Android users as of now. It should, however, be noted that a minimum of 3 and a maximum of 30 stickers can be added to the sticker pack.